Is Financial Incompatibility a Deal Breaker? Solo Moms are used to carrying the load. And when I say “the load,” I mean all of it—the entire thing. Every single damn thing that needs to happen for ourselves or our kids sits on our plates. That means grocery shopping, homework help, soccer registration, medical appointments, remembering to replace the air filter in the house and get the tires rotated on the car, planning for summer camp, packing lunch boxes, working, and coordinating playdates. The word exhausting doesn’t begin to touch the experience of being a Solo Mom. I don’t think I know a Solo Mom who isn’t stressed about finances. Some of us depend on public-assistance programs or loans from friends or family, or have had to sell off jewelry or furniture just to make our car payments. Many of us live paycheck to paycheck. For those of us recovering from separation or divorce, whether or not we’re monetarily strapped, we’ve likely undergone a major financial reset: Where once were two incomes to get by on, now there’s only one; there may or may not be child support coming in from a coparent; and, whether or not it was our job before, it’s now up to us to manage the budget, make a plan for dealing with debt, and pay the mortgage. Emma says she would not have listed financial compatibility as a “must-have” before her divorce, but the experience of picking up the financial pieces postseparation left her rethinking those practical priorities. And she’s not alone. USA Today reports that “financial stability is the second-highest consideration when beginning a new relationship for women (64%), while men valued physical attraction (60%).” And financial issues are also one of the leading causes of divorce. Besides having children, divorce is the most expensive thing I’ve ever done—and I’m not even counting the emotional “costs.” It took me years to come back from the brink of that divorce, to sort out my financial obligations, and get back on my feet. It’s been really hard and scary at times, and I’ve had to become incredibly organized in my expense tracking and budgeting to avoid overspending and tanking my bank account. And so, when my partner and I were deciding whether to take the next serious step in our relationship, we had several serious conversations about money. And honestly, not all of them went well. 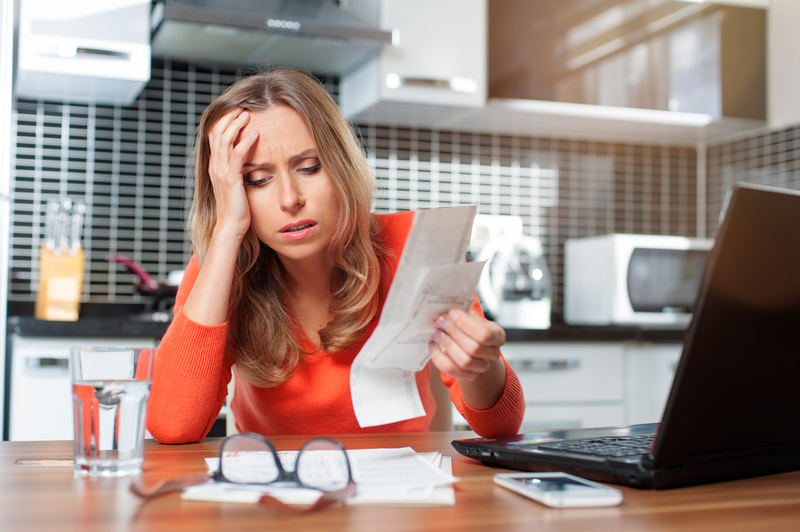 The topic of finances is often an emotional, touchy subject—especially for those of us who have experienced debt, foreclosure, or other financially precarious situations. It can bristle the “unbristleable” and create waves of anxiety and stress. It can set off alarm bells and trauma responses. So how do you talk about money with a new partner? To determine financial compatibility, experts say begin with defining what money means to you. Money, after all, is just a tool we use to live our lives, and we can choose to use that tool in myriad ways. If one partner values big houses and diamonds, and the other partner values running off to exotic locations, they may not choose to spend their money in the same ways. “Tell me what money means to you,” a financial adviser asked me recently, which is a fascinating question that made me think about money in a different way, and it’s also a great question to ask your partner during a conversation about finances. Does money mean freedom? Security? Opportunities? There are also stories that go along with these definitions and perceptions of money. So that’s the next step. Learn each other’s financial stories. Was money scarce or available during your childhood? Has financial stress been a recent reality? Have you ever made a large financial decision that you regretted later? Were financial issues at the heart of previous failed relationships? Once you understand each other’s values, you theoretically have the “why” behind each other’s financial decisions. Now it’s time to zoom in. Experts suggest checking each other’s credit, getting an overview of debts and assets, and being frank about spending patterns. Is it really a deal breaker? After having “the talk” about money with a new partner, some of my Solo Mom friends have been less than thrilled with what they learn about the credit card debts or coffee budgets of their significant others. And although some choose to end the relationship, others say it’s not entirely a deal breaker. If partners agree to financial transparency and honesty, compromises can be reached. It’s possible to keep separate bank accounts, file taxes separately, and even get a prenuptial agreement to ensure that individual debts remain separate. But willingness to get creative and maintain financial independence may not work for everyone seeking a long-term relationship—especially those who have been financially screwed in the past. Emma says she did end one serious relationship because of financial incompatibility. “It was a really hard breakup because I wanted it to work,” she says, “but I knew that we had different priorities, which was evident in our spending patterns, and neither of us were willing to compromise on those.” Emma says she chose herself and her kids by not deviating from the financial future she had been building since her divorce. In my case, my partner and I have decided on compromise. We’ve chosen to keep our finances separate for the time being because although we value many of the same things, we do have different spending habits. For now, we’ve agreed to contribute equally to household expenses, and we split the tab down the middle when we go out to eat. We’re still very much in the process of feeling out the logistics of a life together, and just as we make time for regular date nights, we’ve also begun to schedule financial conversations on a monthly basis. The conversations keep us accountable and transparent, and help facilitate greater learning about each other’s financial pasts, goals, and habits. For now, that works. Have you faced financial incompatibility while dating?